Action cameras or sports cameras give you the ability to record your experiences in first person, or get as close to the action as possible, so you can relive a basejump or hike just like you remember it. These action cameras are different from the usual ones you’d find in a store, because despite being really small, they offer excellent battery life, are extremely rugged, and capture crisp video and audio with minimal stutter. Even if you’re not a sportsperson, action cameras are a great choice for some first person footage or for vLogging, which is something like a blog, in video form. Pretty much all of the most amazing sports footage you see from the first person are from wearable action cameras, so if you’re interested in capturing the events from your life in first person, we pick out 5 wearable action cameras worth investing in! If you want the best quality, be prepared to shell out a fair amount of cash though, because the best action cameras don’t come cheap. Okay so we really can’t have a list of action cameras without a GoPro. In fact, a lot of actions cameras today are simply referred to as ‘GoPros’, they’ve almost become a generic name! The entry level GoPro Hero is still a perfect way to get into the world of action cameras, and offers far better image and video quality than its nearest competitor. Most ‘cheap’ action cameras out there skimp on a lot of things to get to that price point, and there’s nothing worse than skimping on image quality. 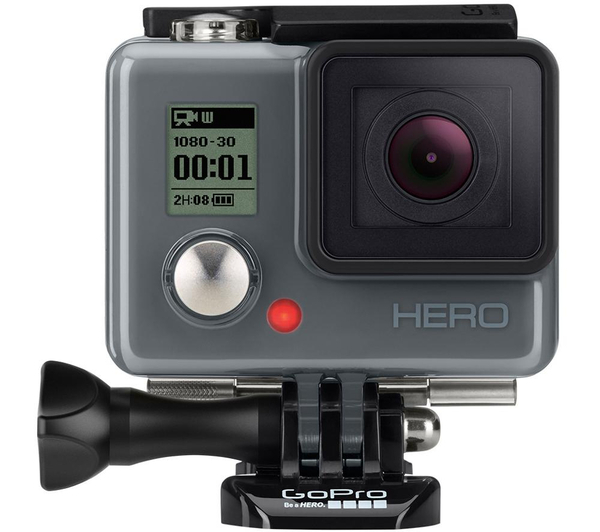 The other plus point is that there’s a wide range of GoPro Hero accessories and mounts available, so there’s a very good chance of you getting the exact setup you want without much hassle. The best part is that the camera is as rugged as they come, and water proof until a staggering 40m. For this price, it just can’t get better! 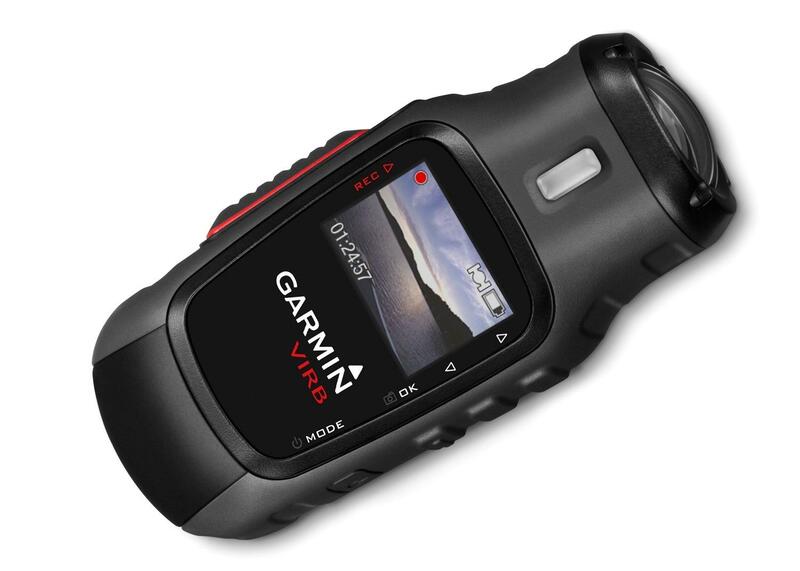 Garmin is known the world over for their GPS devices, but the VIRB, their first action camera is quite a good product too. It’s getting long in the tooth and will be replaced this summer with a brand new successor called the VIRB X (list will be updated upon release), but until then, it’s still a good choice. The Garmin VIRB is a neat looking action camera that offers everything you’d want from an action camera. Apart from the usual video shooting modes, there’s also a small LCD screen and quite decent anti-shake capabilities. Video and image quality is crisp in good lighting, and if you want to invest a little bit more for GPS, ANT, Altimeter and Barometer capabilities, there’s also the VIRB Elite, which is basically the same device with the previously mentioned features. 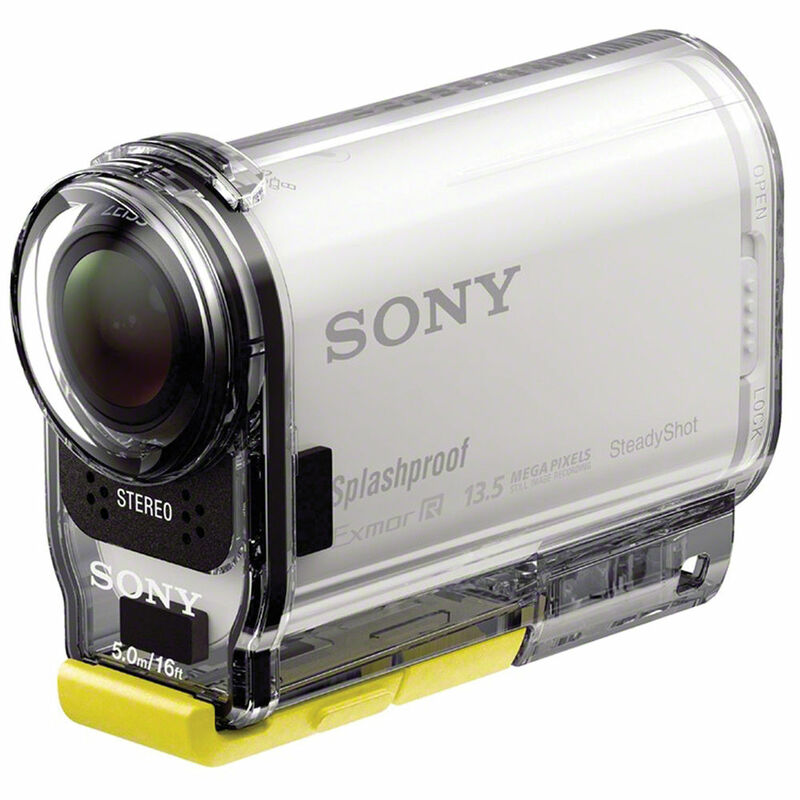 Sony’s action camera really ups the ante when it comes to capturing audio. Well known for its excellent audio capturing capabilities, the AS-100V can also capture slow-mo 240 and 120 FPS footage in 480P and 720P respectively, has a built in GPS, 170 degrees wide angle capturing, Sony’s SteadyShot technology and a wide range of accessories. If you’re okay with spending a little more, you can also grab a wrist control unit to make it easier to capture your experiences. But even if you don’t want the watch, you can control it by your smartphone. But what makes the AS-100V really stand out is its ability to record in XAVC, a high quality proprietary format that offers crisper compression and higher color depth, at 12-bit. It is usually available only in high end professional recording equipment, so this is quite the addition. There’s a very good reason that GoPros are still the action cameras of choice for most users around the world, and that’s because they offer unparalleled quality at excellent pricepoints. Of course, that price doesn’t really translate very well into Indian rupees, but if you can grab one from the United States, it’s more than worth it. 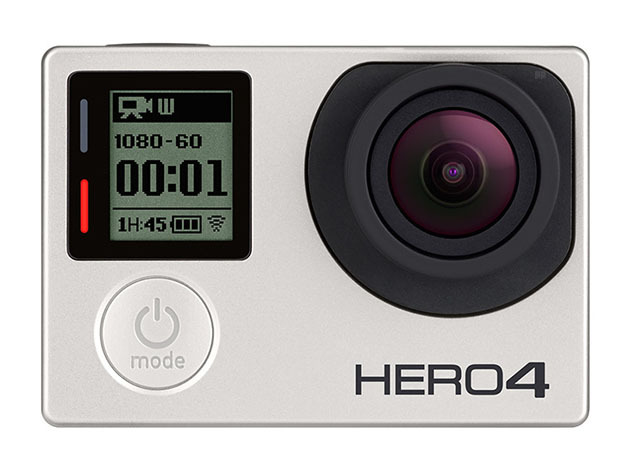 The GoPro Hero4 Silver is the second best offering from the Californian firm, and really pushes the envelope by offering 4K resolution video recording. Apart from the fantastic recording quality, you get an LCD touchscreen, WiFi + Bluetooth, the ability to control the camera from a smartphone, and waterproofing up to 40m. Just like the GoPro Hero, you’ll also find a wide range of accessories for whatever you want to use it for. One of the best action cameras money can buy! Yes, another GoPro tops this list as the very best action camera you can buy. 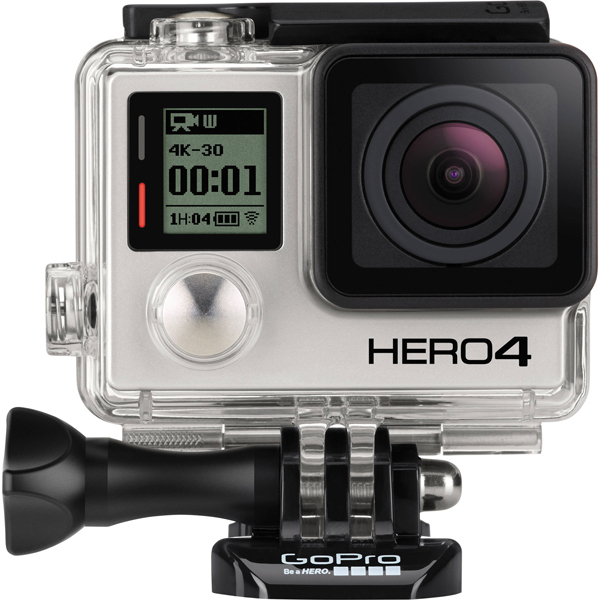 If you’re looking for cutting edge, it just doesn’t get better than the GoPro Hero4 Black. It’s got basically the same sensors as the Hero4 Silver mentioned above, but comes with a faster processor, which allows you to capture 4K video at a 30 FPS! There’s also 1080P recording at 120 FPS, which means you can capture full HD video slowed down to 24 FPS at perfect quality. The only other difference is that while the Silver comes with an LCD screen, the Black requires an accessory. It’s a minor hitch since the Hero4 Black is basically an enthusiast camera with unbeatable quality. If you’ve got the money for it, the Hero4 Black is the absolute best action camera out there! Action cameras are still pretty much dominated by GoPro, so most of our recommendations will still be their products, but we’re hoping to see new offerings from Sony, Garmin, JVC, Contour and Drift either by the end of this year or early next year. Until then however, these are our picks for the best wearable action cameras for sports and vLogging. Do let us know what you think, and if you’re planning on buying one!